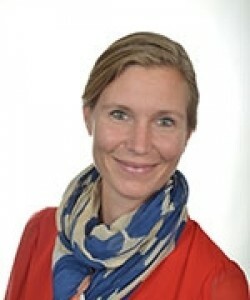 Dr Saskia Hufnagel is a Senior Lecturer in Criminal Law and Co-Director of the Criminal Justice Centre (CJC) at Queen Mary University of London. She previously worked as a Research Fellow at the Australian Research Council Centre of Excellence in Policing and Security, Griffith University, Australia, and was a Leverhulme Fellow at the University of Leeds. Saskia Hufnagel, ‘EU Integrated and Re-Integrated Security. The Position of the UK after the Opt-Out – or Brexit’ (2016) 4(1) European Journal of Policing Studies 63-86 (10,772 words). Saskia Hufnagel ‘EPPO, Judicial review and human rights: is the New Agency benefiting from lessons learned?’ in Valentina Bazzocchi, EPPO and OLAF Investigations: The Judicial Review and Procedural Guarantees (2016) OLAF and Fondazione Lelio E Leslie Basso Issoco Publications. Saskia Hufnagel ‘Organised Crime’ in Valsamis Mitsilegas, Maria Bergström, Theodore Konstadinides Research Handbook on EU Criminal Law Edward Elgar, 2016. Saskia Hufnagel ‘Cross Border Law Enforcement’ in André Nollkaemper (SHARES Project) (ed) The Practice of Shared Responsibility Cambridge University Press, 2016, forthcoming. Saskia Hufnagel, Francesca Galli and Scott Crosby, Special Issue on Restrictive Measures (Sanctions) Against Individuals, (2015) New Journal of European Criminal Law Issue 3 (Editorial 1,800 words). Saskia Hufnagel and Duncan Chappell (eds) Contemporary Perspectives on the Detection, Investigation and Prosecution of Art Crime Ashgate, 2014.